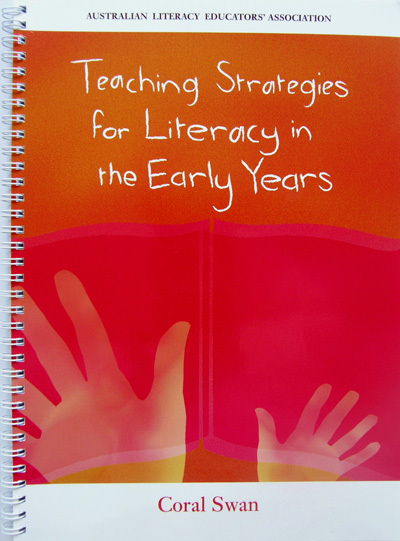 NOW into its THIRD PRINTING, here are 41 practical, interactive strategies to develop reading, viewing, writing, speaking and listening in your early years classroom. 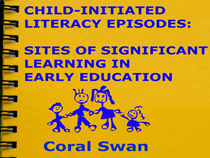 Presented in a clear, easy to use format by Nationally Awarded practicing Grade One Teacher Dr Coral Swan. Whilst appropriate for students in the first three years of school, many of the strategies can be adapted for older students. They have been used successfully with children from diverse backgrounds and locations. Dr Coral Swan has many years' teaching experience and especially enjoys seeing children blossom during their first years at school. She has worked with teachers and pre-service teachers in schools and university and has presented to colleagues at many workshops and conferences. In 2001 she received an Australian Teachers Prize for Excellence and a National Excellence in Teaching Award. 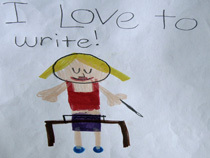 She is still excited about 'Giving Children Wings' and is currently teaching Year One in Queensland Australia. Attempting to reconcile teaching theory and practice: "What do you do if you don't do worksheets?" "Coral, your book is absolutely fabulous. It's one of my most treasured teaching resources." "AND Coral, today your book arrived. Thank you for the barely deserved acknowledgment, but most of all your book - what a gift to teachers and their students! It really looks great, and more than that, it's the kind of book you could and would want to pick up and use immediately. Fabulous. I hope you feel proud of it. I can't wait for the next one! Are you working on it?" "I wanted to post to urge any of you who have the opportunity to see her, to do so. I know she is attending the ALEA Conference in Hobart this July as a presenter. Aside from her energy, she has some amazing strategies, all in a book she wrote called 'Teaching Strategies for Literacy in the Early Years.'" "The new book just arrived in my mail and it is great too. I will order some more to give to teachers and as prizes at our upcoming PD." "There was much excitement this afternoon in our faculty as ALEA members opened their packages! 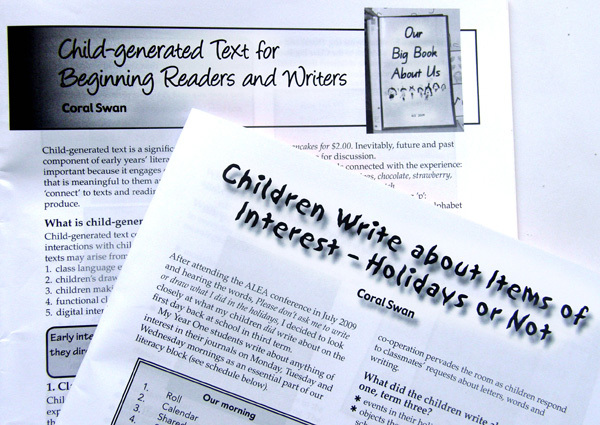 I have already emailed our Director of the Early Years Program to set up a meeting to talk about incorporating the text within a literacy subject." "I like the format... it's well spaced, clear and easy to follow." "Dear Coral, we've just had the Sunday family lunch and all been in awe of your book. Wow! What an achievement. You must be rapt. It looks so interesting and user friendly." "Hi Coral. Your book arrived last week. I love it and am inspired again. I've shared it at our planning day. Everyone loves it!" "I just had someone ring to order Coral Swan's book. She said Coral taught her nieces and she is 'the most amazing year one teacher ever.'" 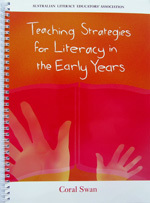 "Congratulations on presenting to the world (your scholarly written) "Teaching Strategies for Literacy in the Early Years! 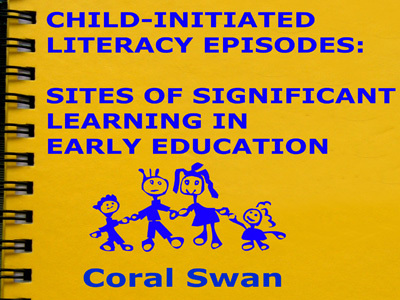 A fine work and beautifully presented... and the cover of your book Coral is definitely you; children's little hands reaching out for 'Literacy in the early years... very impressive - I like it!!!" "Hi Coral, Jeannette showed me the book you wrote. It looks like a very helpful book, especially for some of the younger teachers (and some of the older ones too, I imagine!). Very well organized and clearly written. Congratulations on your book and your doctorate." "Coral, it was SO good to hear from you, and I'm so proud of you in what you've accomplished!!" "Hello Coral, today I was telling the curriculum teacher about your book and you and how wonderful your approach to literacy is and she is going to order the book for our school teachers as a resource."